The City of Savannah assesses property owners a Fire Fee that is dedicated solely to funding the cost of providing fire protection services. The fee provides the resources necessary for Savannah Fire to deliver services to residents, businesses, institutional, and government facilities. A Fire Fee is a financing option that provides an equitable, stable, and dedicated revenue source for fire services. In Georgia, fire fees are similar to those charged for water, sewer, or sanitation in that all these services are funded through user fees. In some cases, property owners take actions to reduce the risk of fire to their property. To recognize these actions, the City of Savannah has created a discount program which provides a discounted percentage of the fee for certain actions which have been recognized to reduce fire risk, such as the installation of fire protection devices or sprinkler systems within a property. The discount is only applicable to Savannah Fire approved activities/construction that are designed, implemented, and maintained in accordance with the Fire Fee Discount Manual and applicable National Fire Protection Association (NFPA) and International Code Council code provisions, as amended. If you have questions about the Fire Fee Discount Program please Email or call 912-525-2810. The City of Savannah will also be offering assistance with the Fire Fee Discount Program application at locations throughout the city. Revenue Department staff will be going out into the community to answer questions and provide application assistance for the Fire Fee Discount Program. 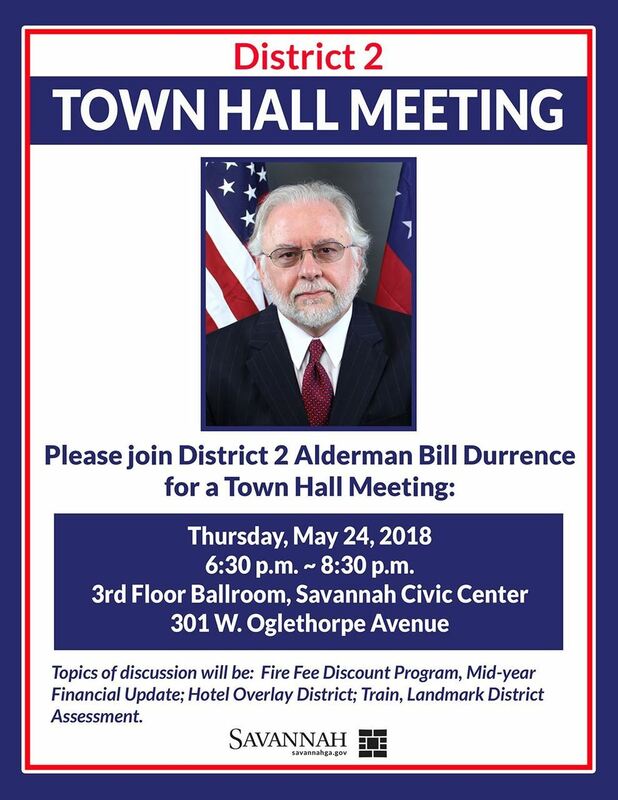 Alderman Durrence will host a Town Hall meeting on Thursday, May 24 from 6:30-8:30 p.m. at the Savannah Civic Center. National Park Service's "Integrity and Condition Assessment," which recommends Savannah's National Historic Landmark District be placed on the “Threatened (Priority 1) List.” This means the city’s NHL District has suffered, or is in imminent danger of, a severe loss of integrity. 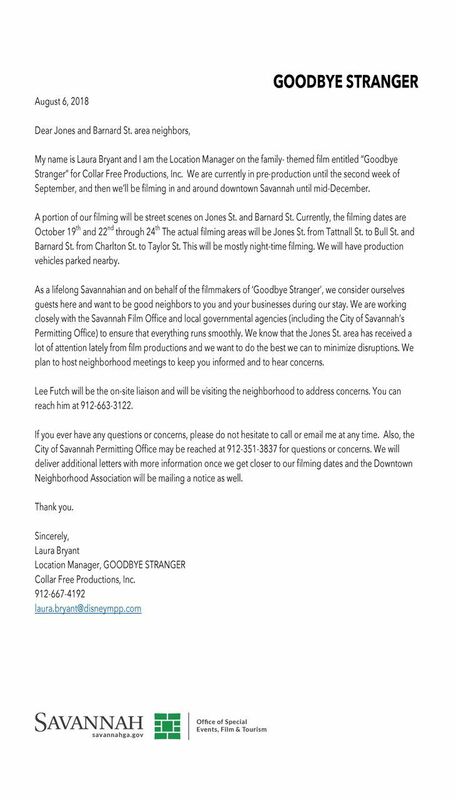 Our aim in bringing this news to the forefront is to raise awareness and start an open exchange of ideas within the community so we can formulate a plan and work hard to get Savannah's district back on the "Satisfactory" list. 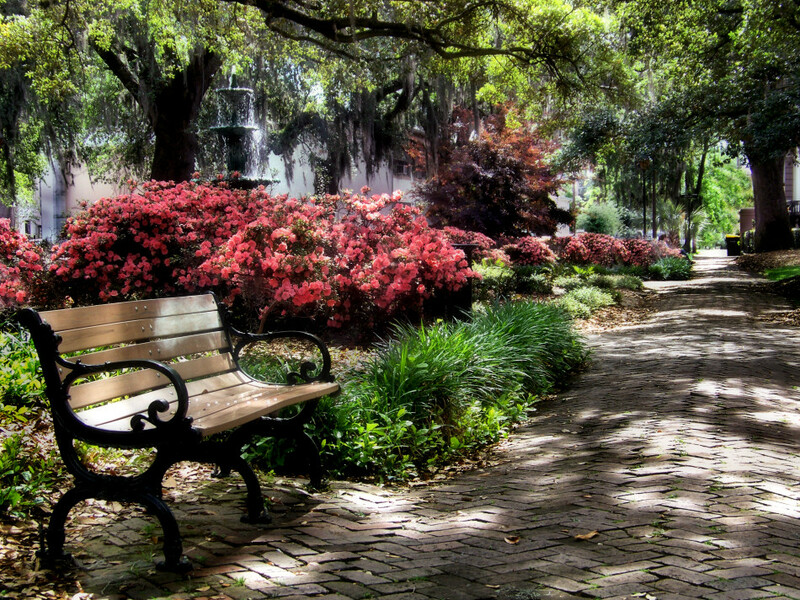 Savannah was designated a NHL District over 50 years ago and is still one of the largest in the nation. 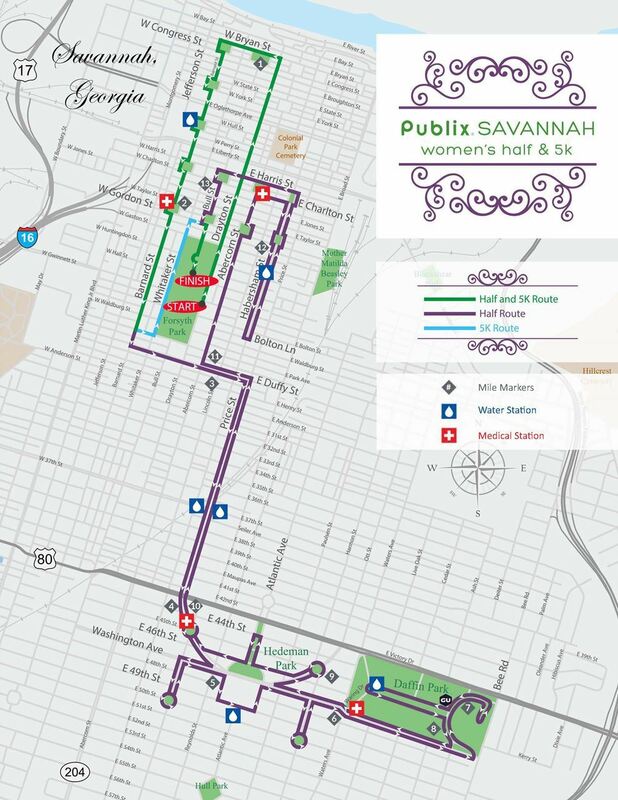 With the help of area residents, advocates and our city leaders, we can preserve its status, beauty and significance for Savannahians and visitors to enjoy for generations to come.